Dominator 5G8 32 channel (4 band) receiver module with Race Band. 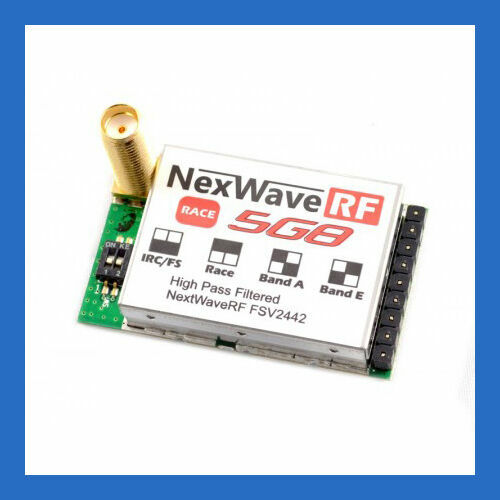 The 5.8 GHz Race Band RX Module for use with Fat Shark modular goggles supports 32 channels on 4 bands -- including the new Race Band. I had a Dominator V3 before, and this time I went to the V2, what a shame that Fatshark changed many things from this to the V3. The V2 FOV is much better, so the brightness. I understand that with some modifications Fatshark closed the gap between the Attitude and the Dominator Hd series. But with lowering some specs on an Item next generation is kinda foolish thing. So I'm really satisfied with my purchase! Would recommend getting the V2 if you can instead of the V3. I would upgrade but only for a HD1 some time. Cheers! I would not buy it again, it's not worth the price..